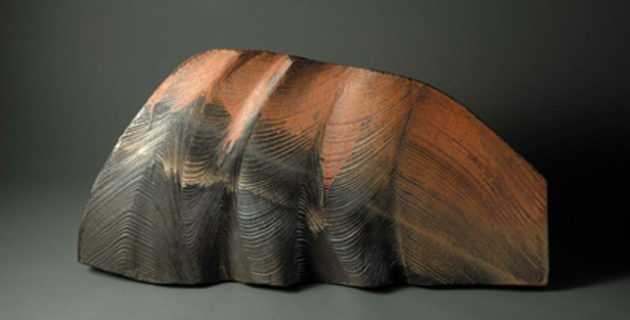 Kaku Hayashi graduated from Tokyo University of the Arts in 1978 and has since become one of the leading female ceramicists in Japan. 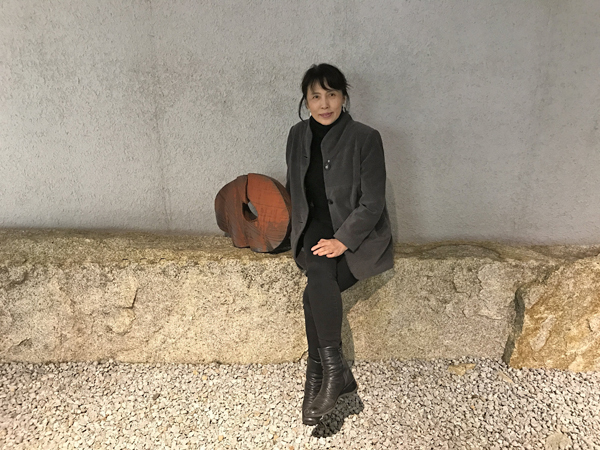 In 1997 she was awarded the Japan Contemporary Arts and Crafts Grand Prize and she became a Councillor of Japan Contemporary Arts and Crafts Association in 2016. She is currently an Honorary Professor of Bunsei University of Art. She makes large scale sculptural forms inspired by nature, using a volcanic substance ‘kan-taro’ which she developed through an industry-academia-government exchange project in 2007. 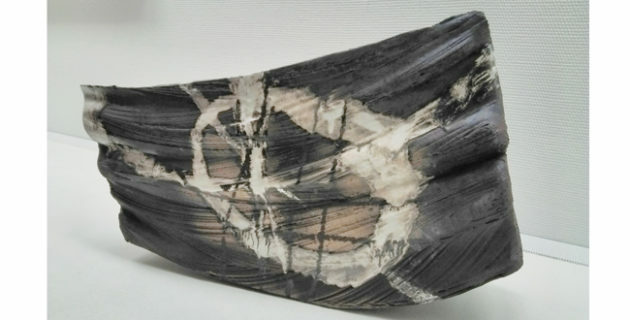 Kan-taro is made from a volcanic glass mineral; it is added to the clay during the pugging process. It is especially useful for thicker pieces as it significantly reduces the natural drying time (to 2 days for some pieces) and also reduces the risk of explosions during biscuit firing. Kan-taro was developed with President Kenzo Ishibashi in the Toko Perlite Industry Co., Ltd. (presently: Showa Chemical Industry Co. Ltd.), a joint for the application of natural volcanic glass to porcelain body was granted in 2011. Kan-taro spread throughout the educational and pottery fields. Many prominent ceramic artists are using it in their work and it is now becoming an indispensable material used by those in the field. In 1992, Kaku Hayashi was diagnosed with cancer; however, the tumour suddenly disappeared of its own accord. The experience affected her profoundly and she became concerned with the cycle of life and death and began making spherical ring pieces. She imagined ‘Zero’ as the beginning and Ending’, ‘Present and Past’, and ‘Infinity’ since its form is same as a ‘Ring’ (Japanese ‘Wa’). She also feels as though it is a ‘cycle’, ‘loop’ and ‘reincarnation’. At the base of all her creations, she sees a piece of truth in the universe by feeling ‘Wa’ in nature. 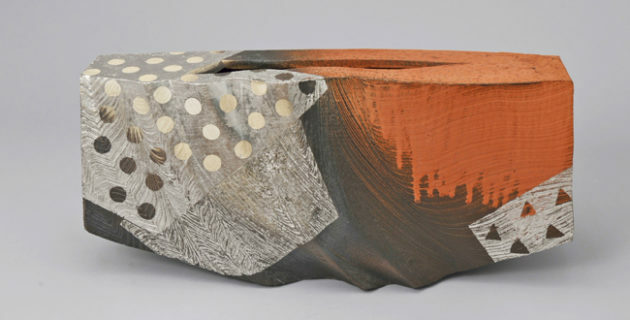 Although Kaku Hayashi is well known in Japan, her work started to get recognition in the West through the exhibition ‘Soaring Voices–Contemporary Japanese Women Ceramic Artists’–that toured Japan and the US between 2010 and 2012. She returns to the ICF after first demonstrating back in 2001.